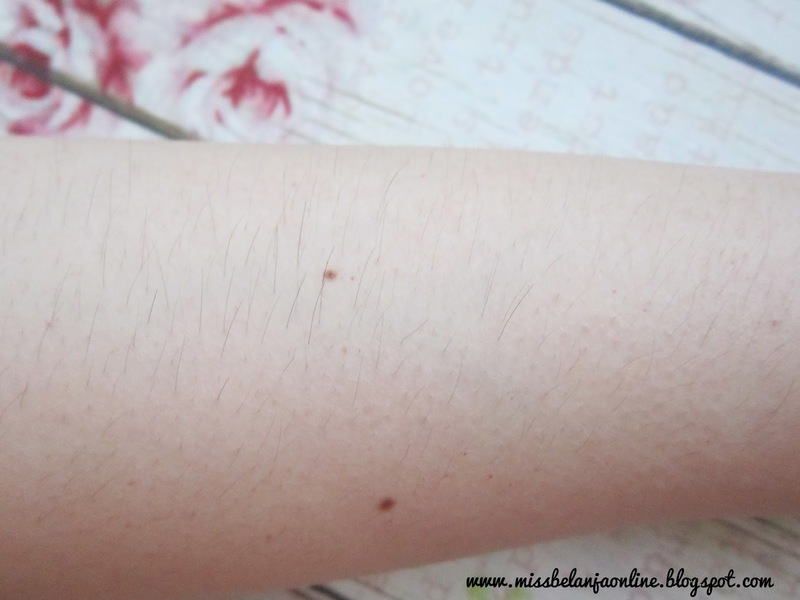 The hair still grow on some parts of my arm and still quite fast. I asked the beautician about how many treatment should I do before the hair completely gone? and all of them give me the same answer, it is depends on my hormone. Some people only need 4-5 treatments but some people need more (8-12). Btw, when I said quite fast, it doesn't meant my hair grow faster because of the treatment. The speed of my hair growth is still the same like before I try the IPL, usually after IPL, the hair growth will become slower but I still haven't experienced it. For the second treatment, I was handled by 2 beautician (that's why I can't take pictures, because I can't move both of my hand). The steps are still the same like the first treatment. So, you can check my video below. I noticed they didn't do the opening speech again like before, maybe because I'm already on my 2nd treatment so they assume I already know about IPL. I need to fill some form before I start the treatment. Just basic information about my name, address, phone and also my allergic. I notice they already accept credit card now~ yay! before, the only accept cash because they still newly open. 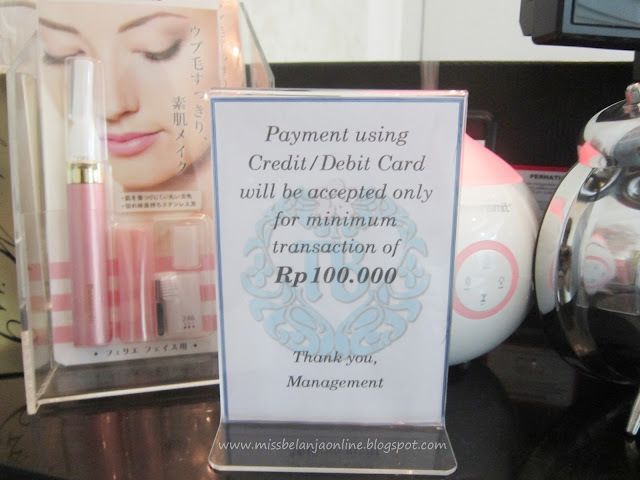 But, now you can easily pay with card with minimum payment IDR 100k. After that, I proceed to the treatment room. This is the first time I enter this room, because last time it's been used. Basicly it is the same with the next room. 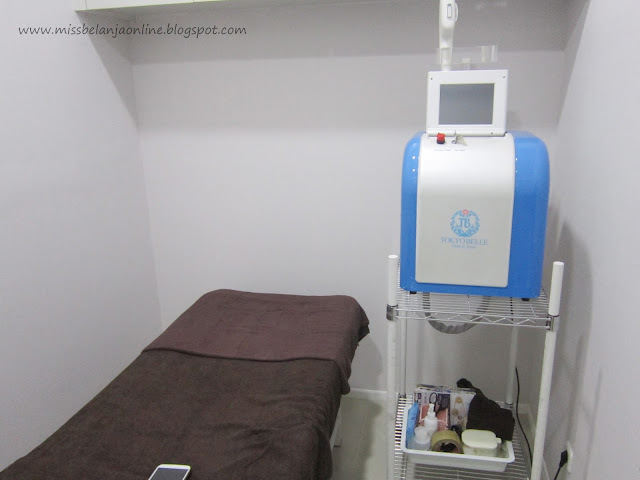 You can see the IPL machine with cute Tokyo Belle logo on it. The music played my favourite song ever, First Love by Utada Hikaru! I bet all of you know about this song because it is very famous. I put my bag under the bed. They provide a big box to put our belongings. I also need to remove my watch and bracelet because I will do arm treatment. 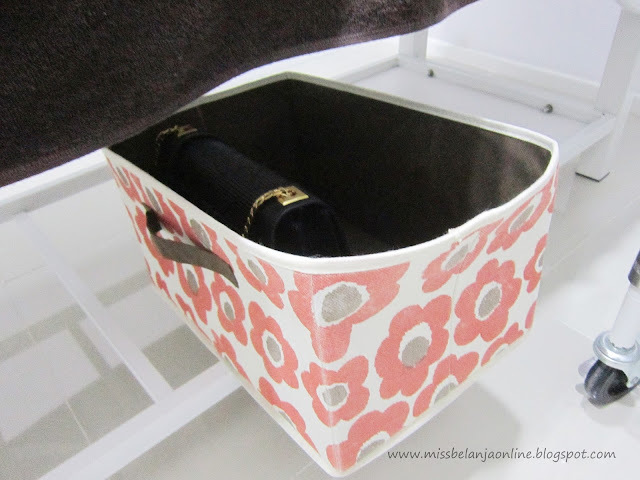 Where to put your jewelry? 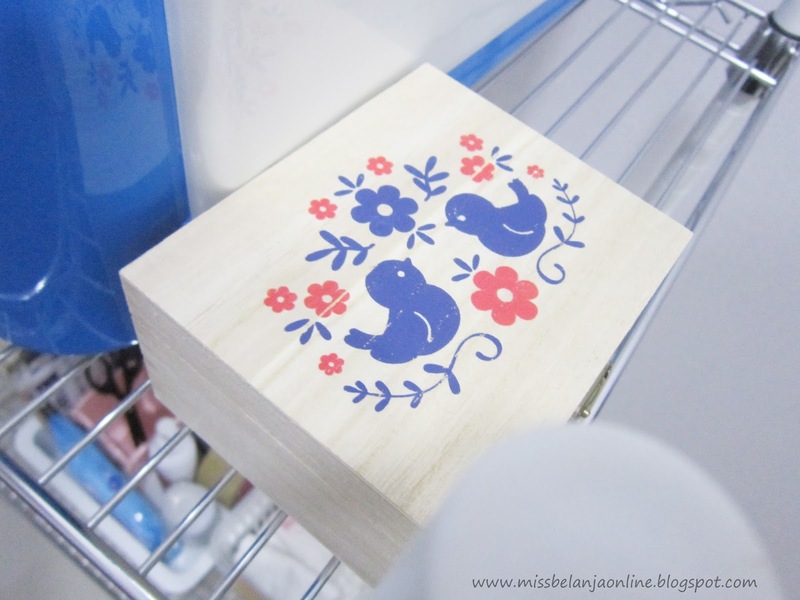 They also provides a cute little box for it. 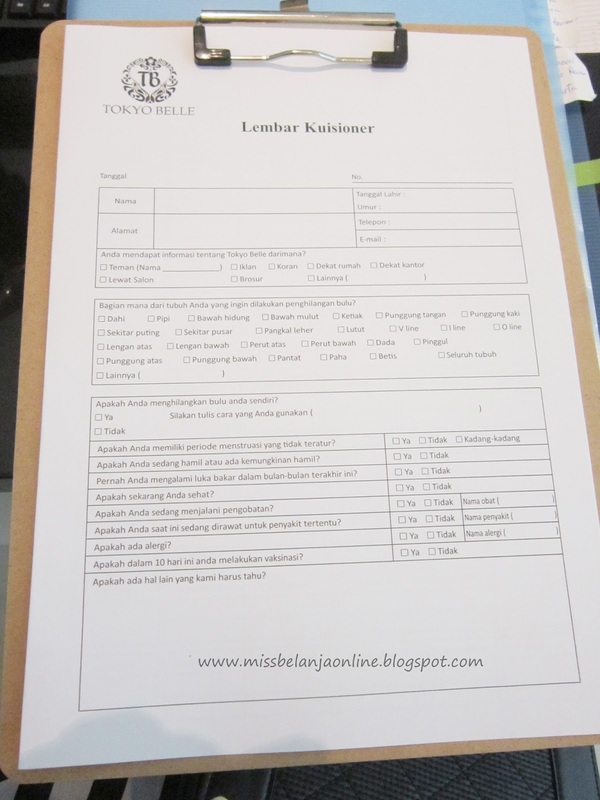 The beautician also put it on the table so you can easily check it everytime. Thumbs up! no need to worry about the security. After I'm ready, the beautician started to talk about the treatment. Basicly she said everything that listed on the form that I need to fill before. 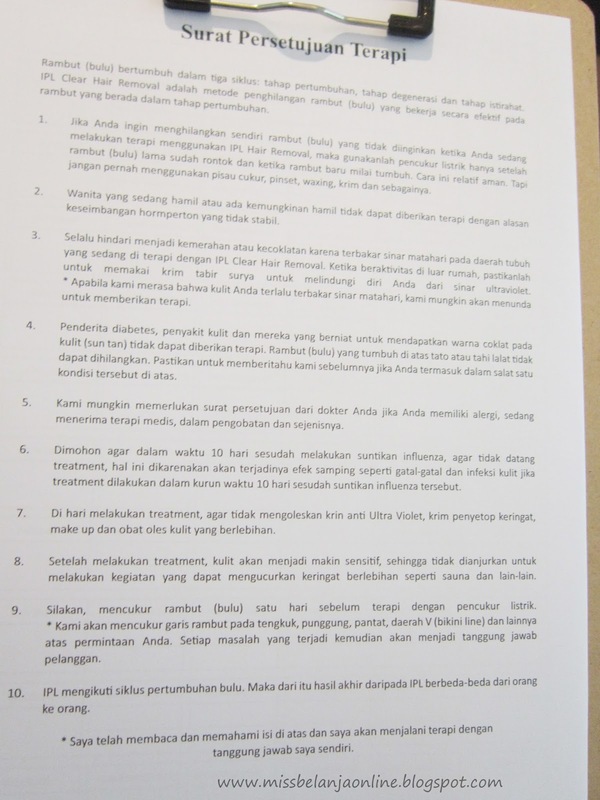 In case you're to lazy to read, here the explain it in a live audio by the beautician hehehe. They make sure you know about what you should avoid after the treatment or what you should know about the treatment. 2. You mustn't use hot water to take a bath after treatment. Cold water is okay. But it's only for a day. 3. You can't take this treatment when you have your period or pregnant. 4. 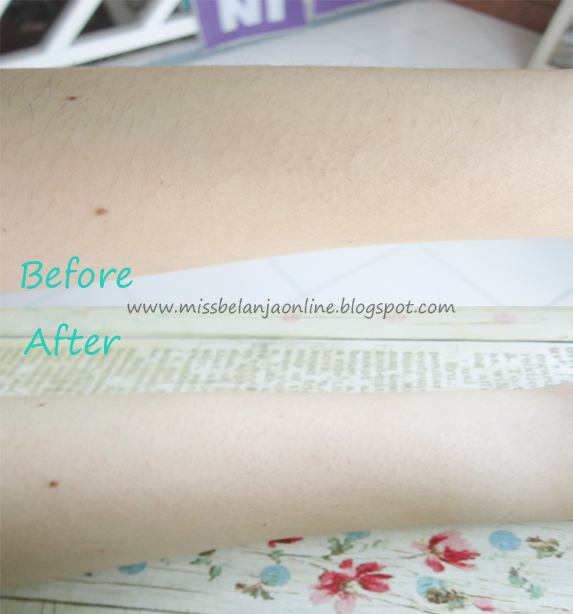 You mustn't use body lotion/ soap after the treatment (only for 1 day). 8. Finish~ Quick, Clean, and Painless! PS: Sorry for the different lightning. The point of IPL treatment is to remove the unwanted hair and make it grow slower or maybe stop grow. That's why to know the best result, I must wait after months and see the difference of my hair growth between before I try the IPL and after I try the IPL. 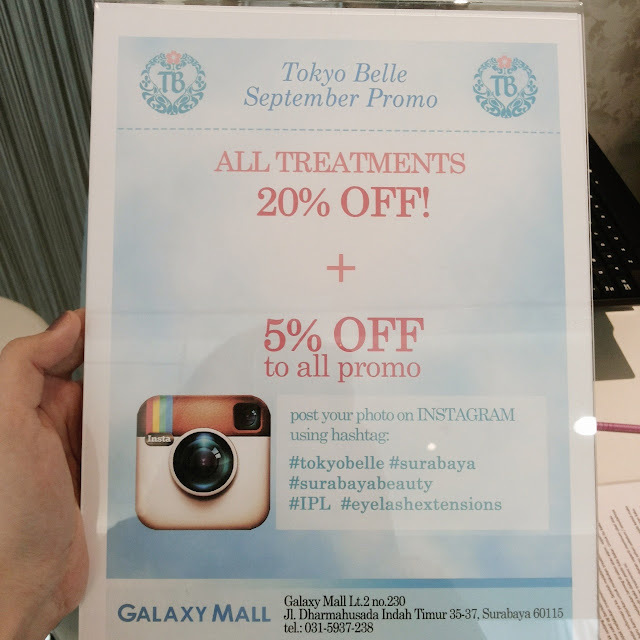 So far, I love the treatment at Tokyo Belle. The staffs are friendly and the treatment is good. I will update about the IPL treatment next month. Thank You Tokyo Belle!